the world for LESS! See all PhoneWorld Mobile rates and mobile coverage. Getting Started (pdf) features all services available and provides guidelines for new subscribers to initiate service. Simply complete the transfer form English, German, French, Italian (PDF power of attorney) and email connect@phoneworld.com. Complete the application form online in English, German, French for a new number and email connect@phoneworld.com. Note: PhoneWorld Mobile is offered in partnership with TalkTalk Ltd. and Sunrise. Bear in mind that your prepaid card must still contain calling time credit to make this call. If you have any further questions, please contact our PhoneWorld/TalkTalk hotline toll-free at 0800 300 250. 1. travelers can eliminate about 85% of roaming charges. Go to International SIM Card page. Note: smartphones in general are set to automatically check for email at regular intervals. Apps often work in the background without your knowledge. The solution: When traveling outside Switzerland shut down data roaming completely on handset. For an independent review on how to avoid data roaming charges. 2. 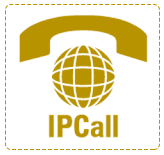 The most cost-effective program is to enroll in IPCall mobile. Scientists can't seem to make up their mind about cell phones. Do they produce radiation? Yes. Is the radiation they produce harmful to us? They aren't sure. However, putting all their reports together, a pattern of tips and precautions becomes clear. Read 15 Ways to Minimize Cell Phone Radiation Exposure and Harmful effects of mobile phones on children.